Doing our best to 'keep earth in business', we choose "sustainable" alternatives whenever possible. 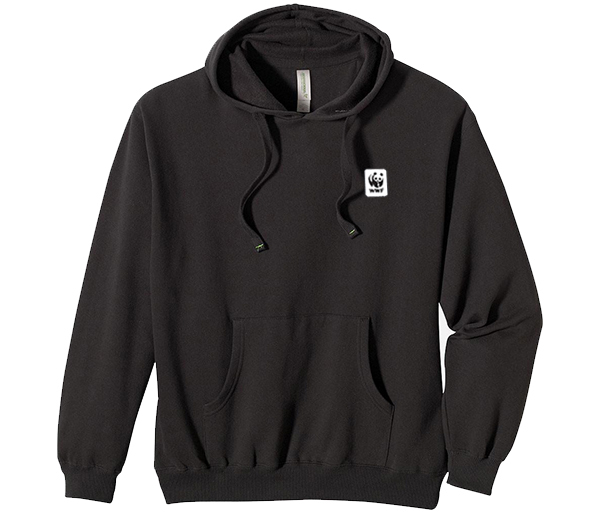 With that, we're happy to present this 80% Organic Cotton / 20% Recycled Polyester WWF Pullover Hoodie. 80% Organic Cotton - 20% recycled polyester, 9 oz. (300 gsm), enzyme washed.